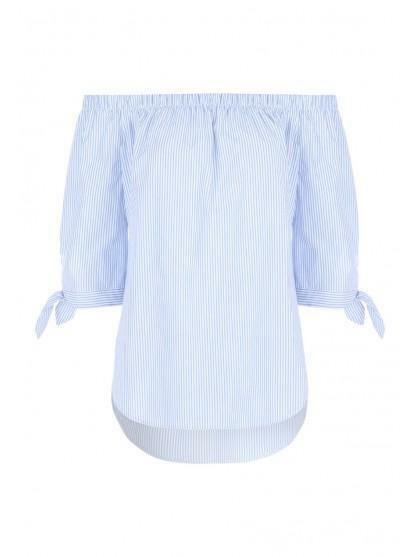 Add some glamour to your look this season with this women's light-blue and white striped bardot top. 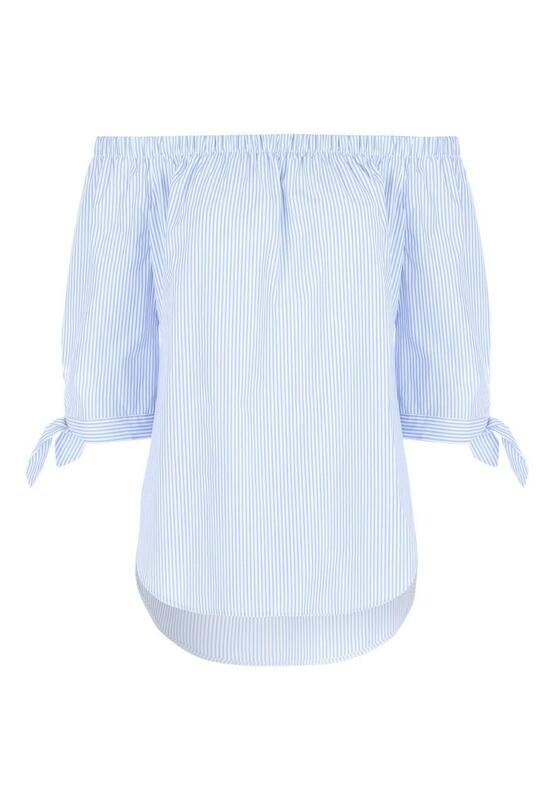 With a loose flowing fit, this is a style steal! Team with jeans or tuck this into a skirt for a variety of looks.